Nineteen years of designing typefaces has amply proven H&Co’s Third Law, which states that for every act of exhaustive research, there is an equal and opposite act of total silliness. This principle extends from typography into other disciplines as well: behold — no kidding — the Oxford English Dictionary in Limerick Form. Precisely the kind of project that the internet was made for, the OEDILF (stop snickering!) 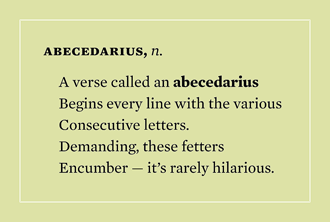 has brought together contributors from around the globe for the purpose of rendering every entry in the world’s most famous dictionary into a-a-b-b-a form. The fascicle A-Cr is well underway, with 45,297 entries so far, making this a site you don’t want to stumble upon when you’re up against a deadline. 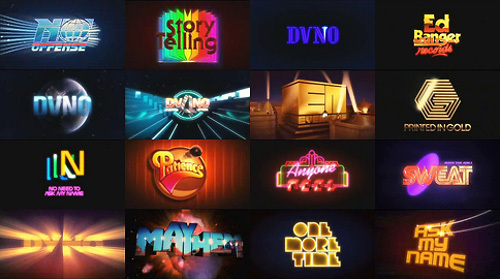 Hey where can I get that Brady Bunch font. Hey where can I get that Star Wars font. Hey where can I get that Red Dwarf font. 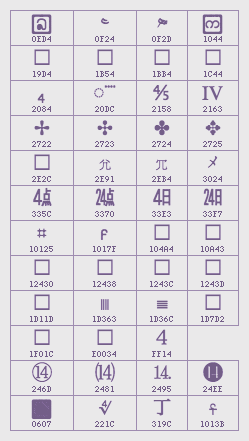 Do you have font that looks like bird feet? Do you have font that looks like cat paws? Do you have any “futuristic” fonts? Do you have any “hip hop” fonts? Do you have any “retro” fonts? Do you have fonts that are retro but don’t look retro? Where are all the graffiti fonts. Where are all the funky fonts. 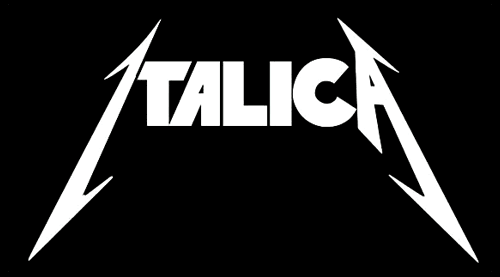 Do you have any fonts that are totally extreme. Do you have any fonts that say “comic book.” Do you have any fonts that are high style art deco of the twenties? What fonts are good for computers? What fonts are good for MySpace? What fonts are good for LiveJournal? What fonts are good for Twitter? What fonts are good for nothing? Eric Siry adds: You neglected gangsta rap legend Fat Fatha, Thai-Senegalese throat singer Fthora Fu, and goth pioneers Functional Funeral — as well as the front man’s solo excursion into atonal noise rock, Fwa Fwaa Fwe Fwee. A journalist recently asked what it is about Gotham that we think suits the Obama campaign. We’ll defer to designers John Slabyk and Scott Thomas to make that call — they selected the font for Obama for America, we merely provided it — but one thing we can say as type designers is that Gotham isn’t pretending to be anything it’s not, which makes it an unusual and refreshing choice for a campaign. 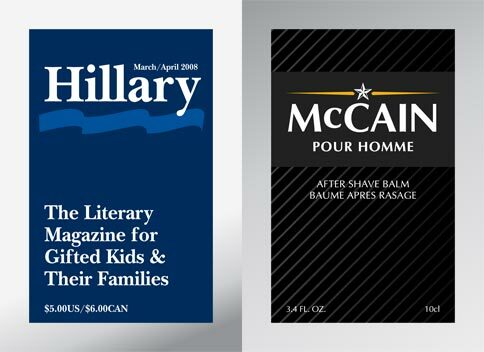 Political typefaces have a way of being chosen because they underscore (or imagine) some specific aspect of a candidate, working hard to convey “traditional values” or “strength and vigilance,” or any number of graspable populist notions. The only thing Gotham works hard at is being Gotham. 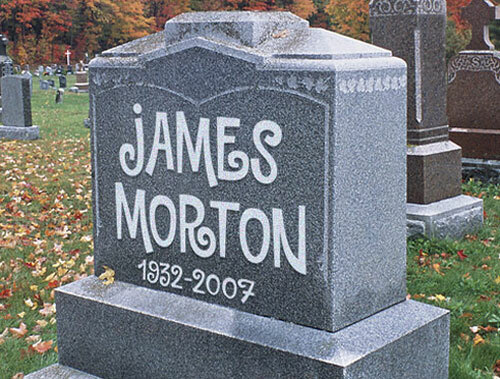 BREAKING — Wrong Font Chosen for Gravestone. One of Andy’s photographs features his friend Albert walking before a giant FU on a Williamsburg sidewalk. 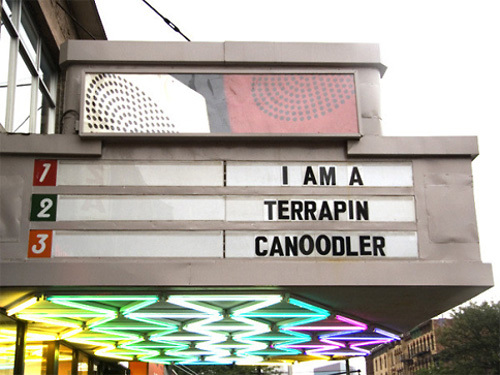 “The letters used to spell out You Are Beautiful,” Andy explained, “before someone started moving them around the neighborhood…” It reminded me of a similar bit of guerilla anagramming in my neighborhood: a few years ago, our local movie theater finally gave up the ghost after 93 years. During the brief interregnum between tenants, someone had a few weeks of nighttime fun with the marquee.